For Kelly's last challenge to the CCEE Stampers, she asked us to honor Johnny Appleseed this week with an apple-related card this week. My sentiment is computer-generated. Stop over at the CCEE Stampers blog and see how the rest of the team honored Johnny Appleseed. 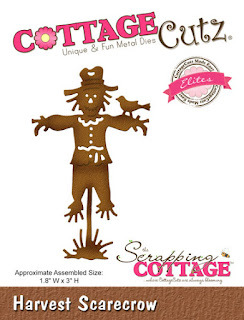 CottageCutz has a whole line of new Christmas dies which will soon be available. They hope to have them available for purchase by September 25th. The card I have today was made with one of the new stamp/die sets -- Snowglobe Fun. 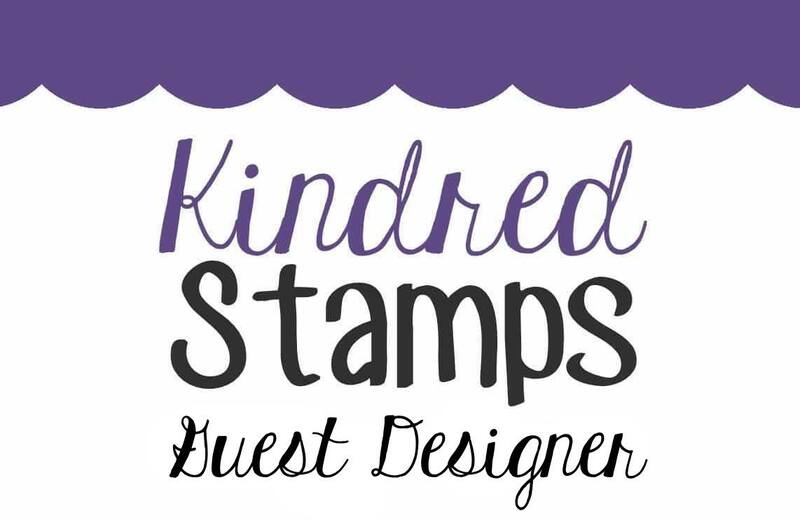 I'm excited to be a guest designer for a stamp company I discovered just a few months ago -- Kindred Stamps, which has the cutest character-driven stamp sets. I'm showing off several cards I have made using Party Like It's 1922, one of the sets being released tomorrow. As a lover of various fun-fold techniques, my first card is a pop-up box card. I pulled out some quite old glitter paper to give this card lots of sparkle, worthy of a Roarin' 20s party! Even the balloons were cut from glitter paper. If you've never made a pop-up box card, I have a tutorial in another post here. Another card I made using this set uses a Spellbinders window die as an important part of the design. Jay is enticing Daisy to come out and join him in a glass of champagne. In addition to these two cards, I created two less involved cards using this delightful set. I actually utilized two layouts from Splitcoaststampers Sketch challenges for these cards, SC57 and SC209. 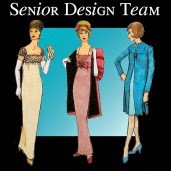 BTW, Sketch challenge layouts are a great place to start when designing cards! Be sure to check out the rest of this release by visiting all of the blogs which are part of today's hop. 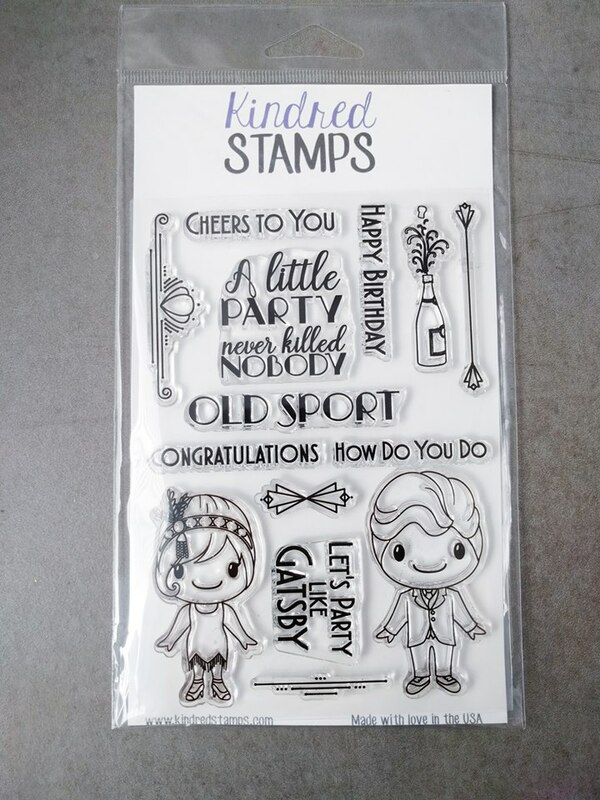 Kindred Stamps will be giving away one of the stamp sets from this release. 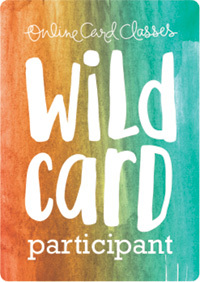 To be eligible, you must comment on each blog post, and the winner will be announced Friday evening. 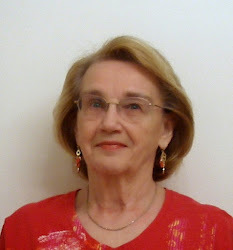 So be sure to visit and comment on each one of the blogs! Tuesday was "Talk like a Pirate Day," and Kelly asked the CCEE Stampers to create a card using anything pirate related. We could earn some extra treasure/booty if we included a map on our card. I pulled out an old set that I always thought was cute -- Changito the Pirate. And I even found some map paper! 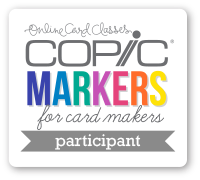 Check out the CCEE Stampers blog for some more pirate fun! It's always fun to learn a new technique. 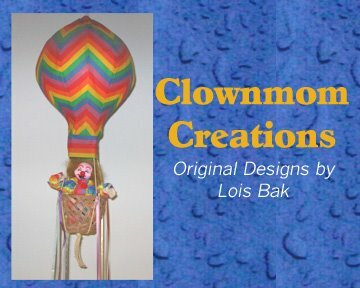 My card today actually has two techniques that I just learned -- a fun-fold and a background. CottageCutz has a whole bunch of new Christmas dies, which will be available on their website on September 20th. I used two of them on my card -- Away in a Manger and We Wish You a Merry Christmas. 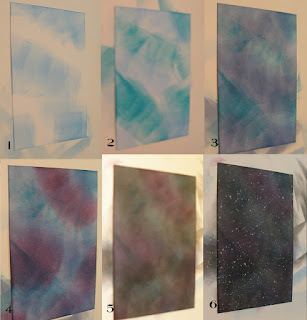 The background technique I recently learned is called Galaxy Background, which looks like it would be much more difficult than it actually is. To create the background you sponge various colors of Distress ink onto white cardstock. The colors I used, in order, are: 1) Mermaid Lagoon; 2) Peacock Feathers; 3) Chipped Sapphire; 4) Seedless Preserves; and 5) Black Soot. During the process you'll wonder how this process can possibly look good; but, be patient, it comes together at the end. As you can see, each of the colors is sponged sparingly so as not to overtake the previous layer. When you get to the Black Soot, however, you lightly cover the entire card. After sponging is completed, put a little bit of white acrylic paint on an acrylic block and dilute it slightly with water, mixing it together with a small paint brush. Then flick the paint brush against the side of your finger to splash the paint onto the entire area. 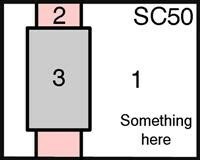 Here is a photo of the six steps involved. You can see how the colors build upon each other. Now you can start your card. Cut a piece of heavy weight white cardstock 4 1/4" x 8" and score at 1 1/4", 2 1/2", 5 1/2", and 6 3/4". My background piece was originally a white piece of cardstock 4" x 6 3/4". Cut the sky pieces as follows: a 1" strip, a second 1" strip, a 2 3/4" strip, and another 1" strip, leaving one final 1" strip. Fold the card base as shown in the photo -- very similar to a double gate-fold card. Adhere the sky pieces to each section of the card base. Cut the sentiment and Nativity border. I used glitter paper for each element -- pale blue for the sentiment and silver for the border. 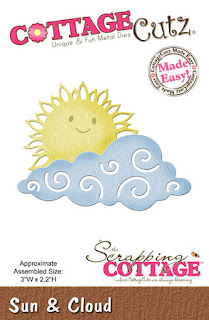 Glue the sentiment onto the center section of the card, with the star extending just slightly off the top. When adhering the Nativity border, just apply glue to the ends of the die cut. Lay the card flat, with just the left side folded on the score lines. Adhere the left side first, and then span the center and adhere the right side. As you can see, the card will lie flat for mailing; but, when you fold both sides up, it will stand with the Nativity border "bridging" between the two end panels. You can see in the following photos the 3-D look of this card. Here again is the card from the front. I hope you give these fun techniques a try. I'm really hooked on that Galaxy Background! 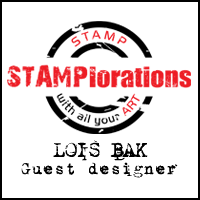 Kelly continues this week as hostess for the CCEE Stampers and asks us to help celebrate Roald Dahl Day by making a card inspired one of his many children's books. I chose Fantastic Mr. Fox. 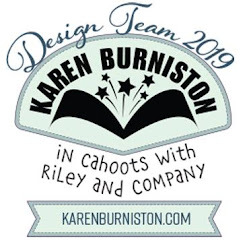 Check out the CCEE Stampers blog to see what the rest of the team is reading! Halloween is right around the corner. I've got another card made with a new CottageCutz Halloween die. This was a fun card to make. When you look at the front, it's not very exciting . . .
. . . all the fun is on the inside. Orange - 8 1/2" x 5 1/2"
After folding the orange base in half, I glued down the black mat piece and the smaller patterned paper piece on the front. I cut all the die cuts from white, orange, black, or green cardstock . . .
. . . and colored them with either ink or markers. Then I constructed the frog/pumpkin piece. Note that the small stars and curly-cue are glued to a small piece of acetate, which was then glued to the large star on the wand with a glue dot. On the front I stamped the sentiment and the cat in Versafine Black Onyx ink and embossed them with clear embossing powder . . .
. . . and added the scarecrow and strip of grass. Now came the fun part! To make my pop-up support on the inside, I cut two 2" slits 1" apart on the patterned paper across the scored center and scored at each end of the strips. I glued the two pieces of black cardstock to the inside of the card, getting them close to the fold line, but not touching. This allows the card to close without bending up the edges. I didn't want to adhere one large piece of black cardstock to the inside because that would tend to "bind" when the card was closed. Then I added the patterned paper, being careful not to apply glue to the support section in the center. This section will fold OUT when the card is closed -- with the pumpkin/frog glued to the front of it. I stamped the sentiment on the white piece and sponged a bit of green ink around the edges. I then cut out the sun and cloud, sponged on some darker color to the sun, and (using a Copic gray marker) added some shading to the under side of the cloud. I put the pieces together and adhered them to the upper and lower panels of the card. This photo shows how the frog sits on the pop-up support piece. The new Halloween die (Happy Toad Wizard), as well as several new series of Christmas dies, will be available for purchase in the CottageCutz store starting September 20th. Because of the support of their wonderful customers, it has become necessary to move into a larger warehouse. Because of the move, the store is temporarily on hold. But that gives you lots of time to decide what you want next! LOL! Kelly is starting her month as hostess for the CCEE Stampers. She tells us that Saturday will be Teddy Bear Day and asks us to include a bear on our cards today. I used some CottageCutz dies for my baby card. As you can see, my bear is a little girl -- named Theodora, perhaps! Stop over at the CCEE Stampers blog to see some more cuteness! Now that it's September that means Halloween is just around the corner. 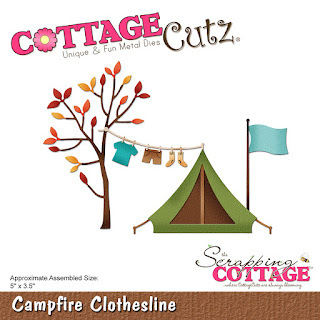 CottageCutz has some new, really cute Halloween dies. My card today uses one of them, as well as a couple of older dies. The name of the Halloween die brings memories of many trips to Disney World -- Haunted Mansion. This die has many small pieces to it. I first ran the die through my Big Shot using gray cardstock. I was able to color many of the gray pieces with various Copic markers. Some pieces, like the ghost and the insides of the windows had to be cut from white cardstock because the gray was too dark. I usually start a card by cutting the card base and mats, but this was Halloween -- why not mix it up! So now I was ready to gather my card base pieces. I have an old patterned paper pad made up of photographs. One of the photos is of a dark night sky. That's the one I used for my spooky house. I cut a strip of the green to form the ground and constructed my card base. You can just about see the outlines of the spooky-looking trees in the background. I decided to use the photo on the die packaging as a guide for constructing my house. And the jack-o-lantern is from the Calendar Icons die. I placed a small piece of yellow cardstock behind his face. Now I was ready to complete my card. Don't look too closely -- I forgot to include the spider webs on the front of the house. It was too late when I discovered that! But I did stamp a small sentiment and placed it on a "sign" in front of my house. These new Halloween dies, as well as several new series of Christmas dies, will be available for purchase in the CottageCutz store starting September 20th. Because of the support of their wonderful customers, it has become necessary to move into a larger warehouse. Because of the move, the store is temporarily on hold. But that gives you lots of time to decide what you want next! LOL!